KING Products + Solutions, is a world leader in complete solutions for multimedia interactive touch screen technology. KING has set the standards for kiosk engineering, advanced design, integration and quality manufacturing. Since 1994 KING has been thought leader in the signage and kiosk market. 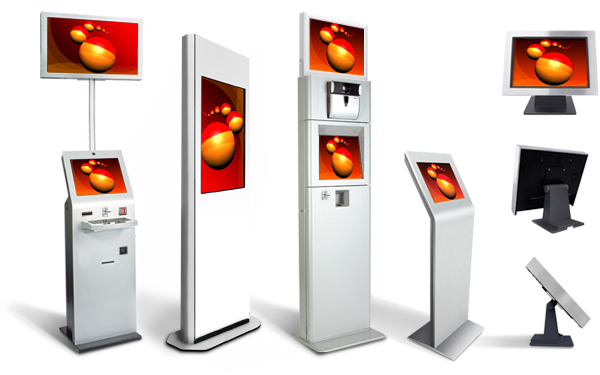 KING offers variety of kiosk hardware and enclosure solutions with options to suit every need.